Teeth whitening is one of the most sought after method to boost confidence with a radiant smile. Watervale Dental now offers two ways to help you have whiter teeth, Take-home kit or in-office bleaching. In the In-office bleaching, after professionally cleaning your teeth, a resin barrier is applied to the gum areas surrounding the teeth to protect them from the whitening gel. Whitening gel is then placed directly on your teeth and will remain in contact with them for a total of 24 minutes consisting of approximately 3 x 8 minute applications. The whitening gel (hydrogen peroxide) is broken down and oxygen enters the enamel and dentin, and the stains are “dissolved”. In the take home kit, impressions of your teeth are taken and custom trays (like mouth guard) to fit your teeth are fabricated. After which you will be given the tooth whitening gel and shown the method of application. Before choosing to whiten your teeth it is important to get your teeth checked by a dentist to determine if your teeth are suitable for the treatment. Teeth whitening is not recommended for everyone because of various issues relating to gum and tooth sensitivity, the natural colour of a person’s teeth and presence of fillings, crowns and veneers. Unlike many untrained operators offering teeth whitening treatments, only dentists are trained to assess a person’s suitability for the treatment. Without a proper assessment it is not possible to rule out any permanent side effects or other risks associated with the process such as heightened tooth sensitivity and gum problems. Discuss possible tooth sensitivity and how it may be managed. Teeth whitening should only be carried out on people who have their adult teeth, unless otherwise advised by a dentist.heightened tooth sensitivity and gum problems. Porcelain veneer is a thin layer of porcelain which is permanently bonded to the outer surface of the teeth. They can dramatically improve crooked, crowded, chipped and gappy smiles. We evaluate each tooth individually and place the restoration most appropriate to your needs. We also ensure your complete satisfaction with your aesthetic result by allowing for your input into the design, shape and colour of your veneers and crowns. The treatment is done in two visits. In the first tooth is prepared and impressions taken. In the second visit the veneers are permanently bonded on your tooth. 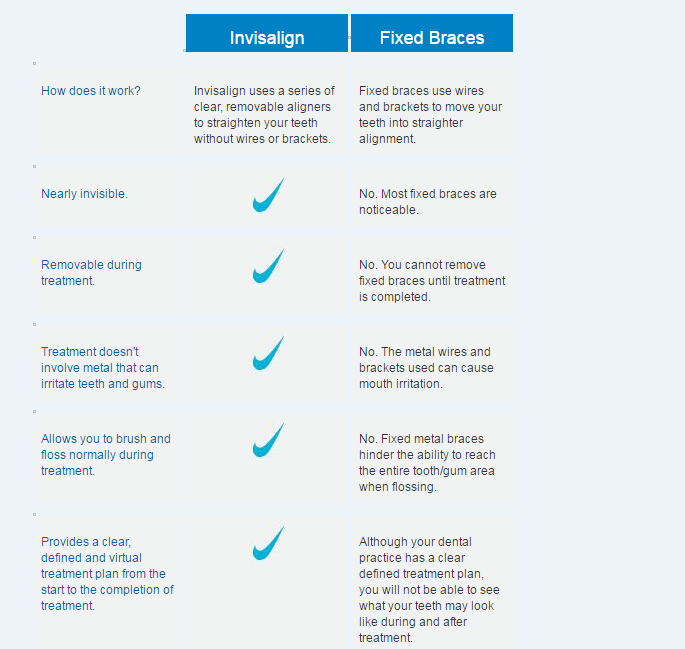 Invisalign is almost invisible teeth straightening treatment. The treatment consists of a series of nearly invisible, removable alignment teeth trays (aligners) that are changed every two weeks for the next set of aligners. Each aligner is individually manufactured for your teeth, and your teeth only. As you replace each aligner, your teeth will move - little by little, week by week - until they have straightened to the final position prescribed by your dentist. If you're ready for a smile that transforms your appearance, Invisalign is your answer. Although there are many choices out there, no other treatment works as comfortably as Invisalign. Invisalign is the best way to transform your smile without interfering with your day-to-day life. 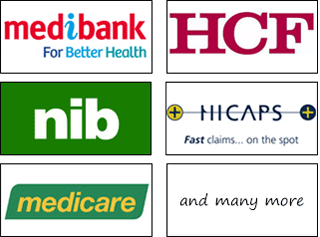 We are Medibank Members Choice and HCF Health Fund Preferred Provider Dentist in Melbourne. Before our first session, kindly take some time to print & fill out this form.